Toyota’s increasing focus on emotional yet practical design has produced some truly iconic vehicles; cars that have often been recognised as genre-defining models within the international design community. In this post we take a retrospective look over the past ten years and list a small selection of some of Toyota’s car designs that have made a particular impact across the world. For the sake of brevity, we have primarily focused on models that have been (or still are) available in the UK. The designers of the second-generation Toyota Prius wanted to shatter the traditional image of an environmentally friendly hybrid car by creating a synergy between ecology and fun. A clean, aerodynamic form gave the new Prius future-car styling, while a reinvention of the driver control and display systems made the interior much more user-friendly. Extensive use was made of innovative materials such as eco-plastics and recyclable materials to reduce dependence on lead and PVC, and its construction was also designed to improve dismantling efficiency. 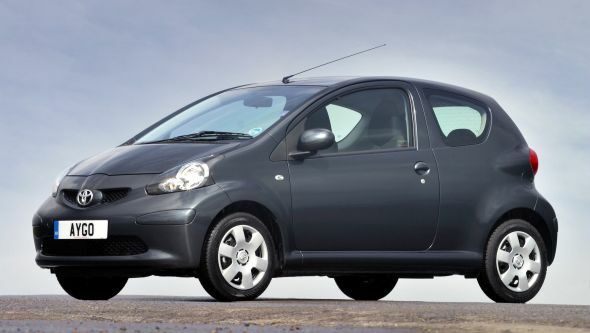 The purpose of the Toyota Aygo was to redefine perceptions of small cars by fusing the often contradictory aims of emotion and rationality – a key purpose within Toyota’s ‘Vibrant Clarity’ design philosophy of that time. Aygo realised this through its sense of fun, enjoyable dynamics and unexpectedly roomy interior. In terms of its appearance, the strongly tapered cabin enhanced the strength of the wheel arches and other functional elements, such as the headlights. Inside, the cylinder-shaped heater control unit and simple instrument graphics invited the user to look and touch, generating a new sense of interaction between user and vehicle. 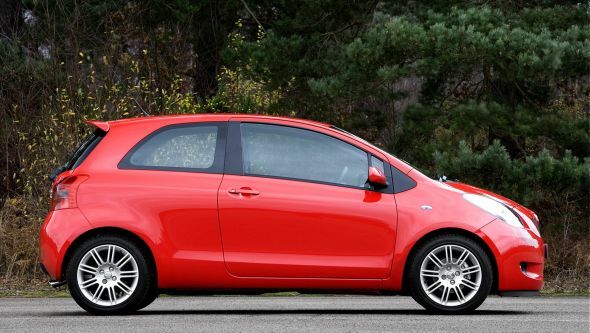 Developed under the theme ‘My Proud Compact’, the second-generation Toyota Yaris was designed to make owning a compact car a satisfying experience. Featuring distinctive, tall proportions, a bold front end, futuristic single-motion form and a simple, attractive interior, the new Yaris featured top-class safety and environmental performance. 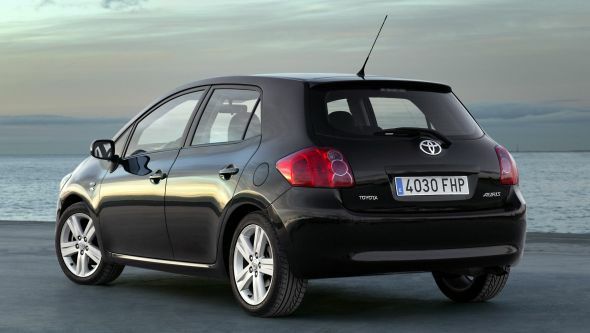 Toyota felt that Yaris established the standard for the next generation of compact cars through a tangible feeling of high quality throughout. Developed to be marketed worldwide, the Toyota Auris compact hatchback sat on a completely new platform that aimed to provide roominess and utility equal to that of a medium-sized vehicle. Its streamlined cockpit was tuned for sporty driving and designed to exceed the expectations people people had of conventional compact cars. Though relatively tall, the exterior design was carefully shaped to suggest a low centre of gravity and athletic vitality. The result was a powerful, dynamic form that was instantly recognisable from a distance. 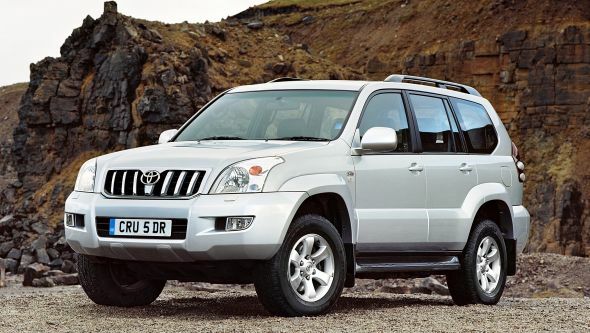 The Toyota Land Cruiser has always been a four-wheel drive vehicle designed to withstand the harshest environments. This tenth-generation model was recognised not only for its design but also for its continuation of the model’s traditional strength and reliability inherited since its debut in 1951. The award recognised Toyota’s adoption of performance-enhancing technologies to improve both everyday comfort as well as off-road ability. 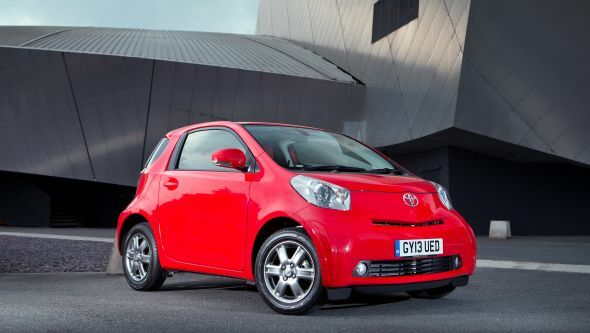 The multi-award-winning Toyota iQ is a sophisticated four-seat car, representing the ultimate expression of refined, urban transport with minimal environmental impact. Developed with six revolutionary design and engineering innovations, including ultra-efficient packaging through an asymmetric instrument panel and compact air-conditioning unit, it achieved remarkable interior space in a total vehicle length of less than three metres. Like the award-winning second-generation Yaris, the exterior design is a realisation of Toyota’s ‘Vibrant Clarity’ design philosophy that synergised rational factors together with expressions of individuality and quality. 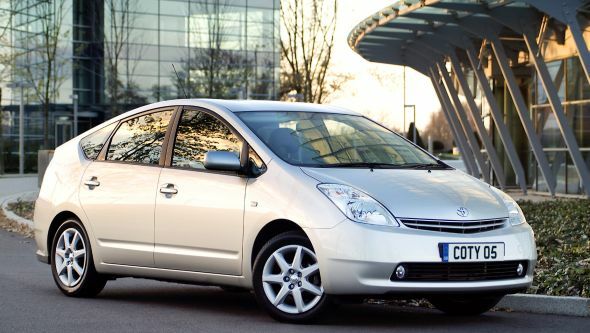 The third-generation Toyota Prius displayed an evolution of the previous model’s futuristic and high-tech design, cementing its worldwide position as an eco-icon. This was evidenced in its distinctive, triangular silhouette, the aerodynamically-efficient vertical aero corners of the bumpers, and the prioritising of the lower grille aperture. As a result, Prius achieved one of the world’s lowest drag co-efficiency figures of 0.25 and reduced CO2 emissions to just 89g/km, while it also debuted cutting-edge technologies such as solar-powered ventilation. Its further focus on Japanese originality and hospitality, known within the design team as ‘J-factor’, gave it an additional air of human warmth. 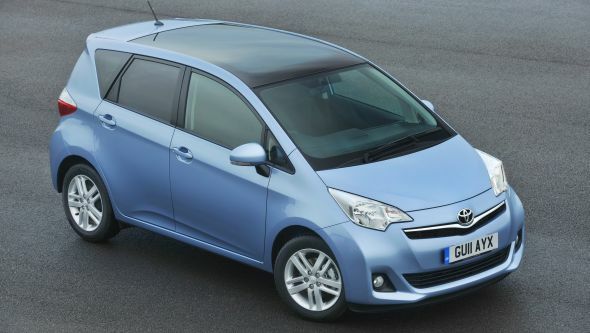 The purpose of the Toyota Verso-S was to unite class-leading levels of interior space and comfort with maximum utility, all within a compact body measuring less than four metres in length. The award particularly recognised one of the Japanese market models as the first domestic vehicle with certified, wheelchair-adapted specifications. 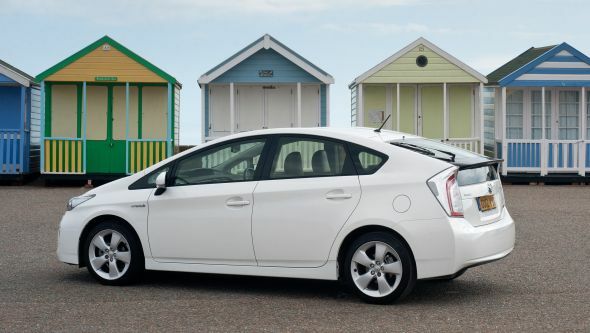 Like the regular Prius upon which it is based, the aerodynamically shaped Toyota Prius+ was recognised for its outstanding fuel efficiency and environmental performance, realised through Toyota’s constant advancements in hybrid research. As a new adaption of the traditional hybrid vehicle format, it catered for a wider diversity of lifestyle requirements, delivering a comfortable interior that allows multiple seat arrangements. 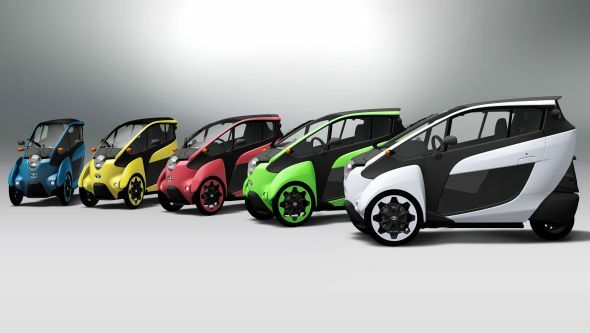 The Toyota i-Road is an exciting new concept in mobility, designed to offer a new level of driving pleasure. Developed under the mantras of safety, agility, connectivity and fun, this ultra-compact two-seat electric vehicle should help to reduce traffic jams, parking problems and harmful emissions. The front wheels feature a unique Active Lean technology that helps the vehicle lean into corners like a motorcycle, while the single rear wheel rolls freely like a pen plotter on paper. Its design aims to reflect these functions in the styling.